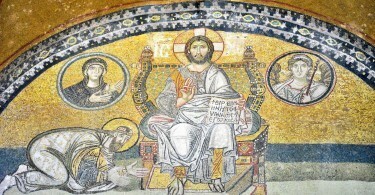 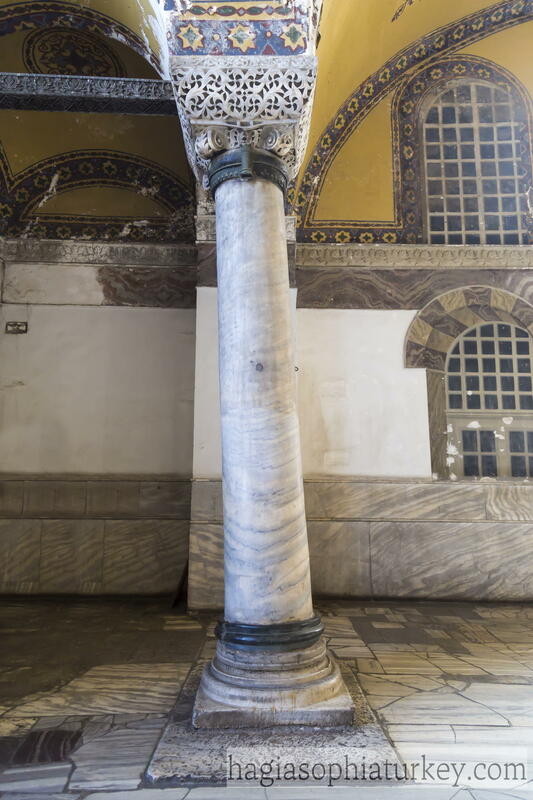 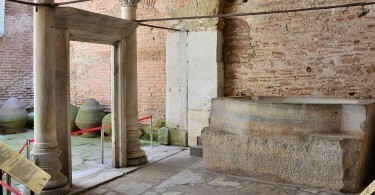 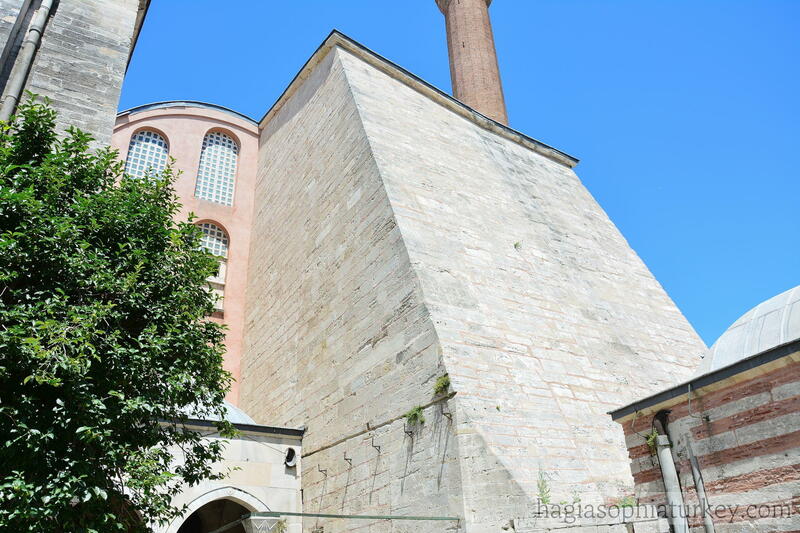 Four buttresses on the west side of Hagia Sophia were built after the Latin occupation in the 13th century in Constantinople. 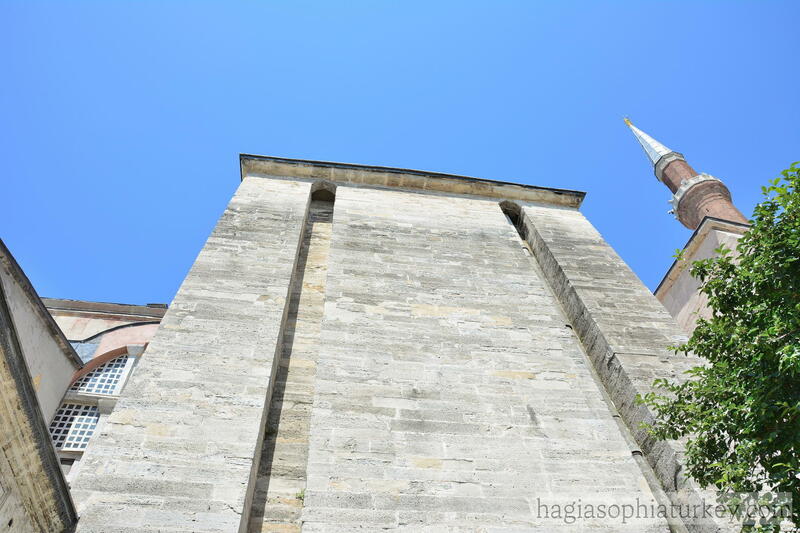 The other ones on the east & north sides were built by Andronicus II in 1317. 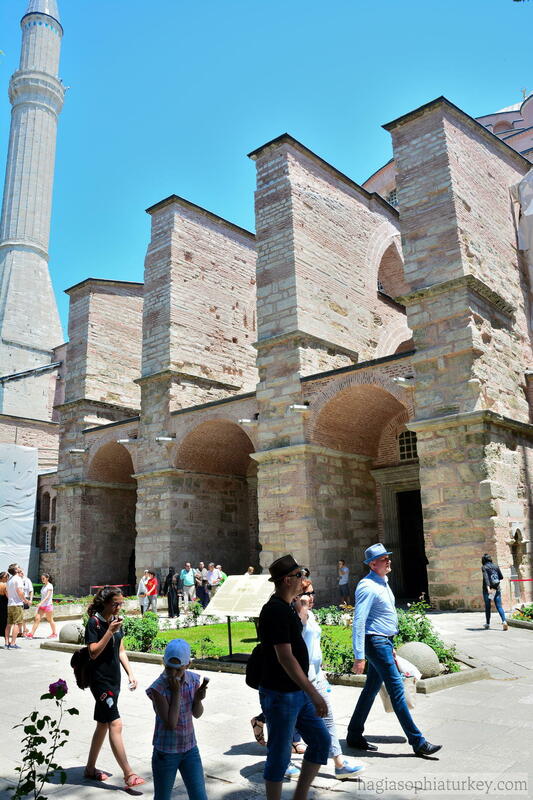 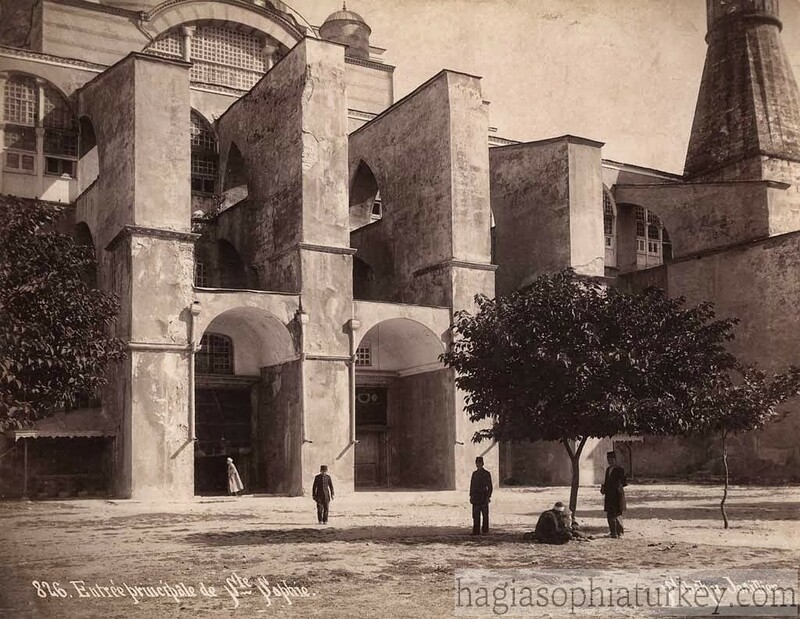 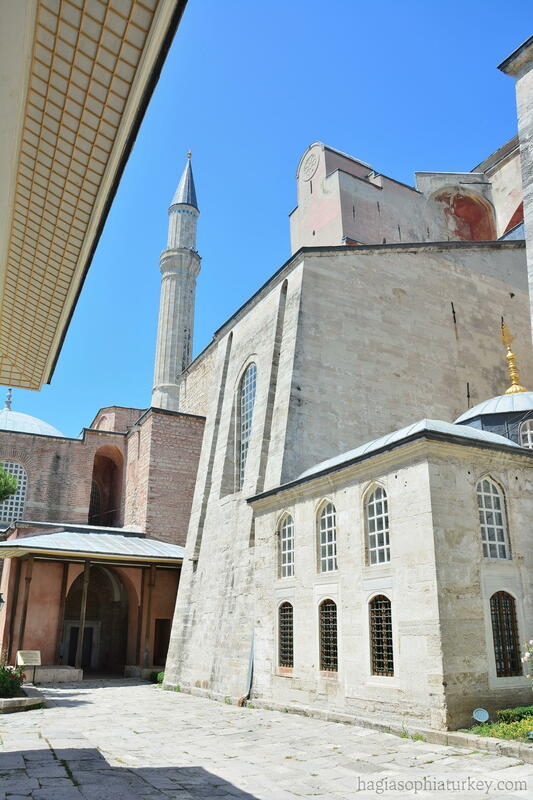 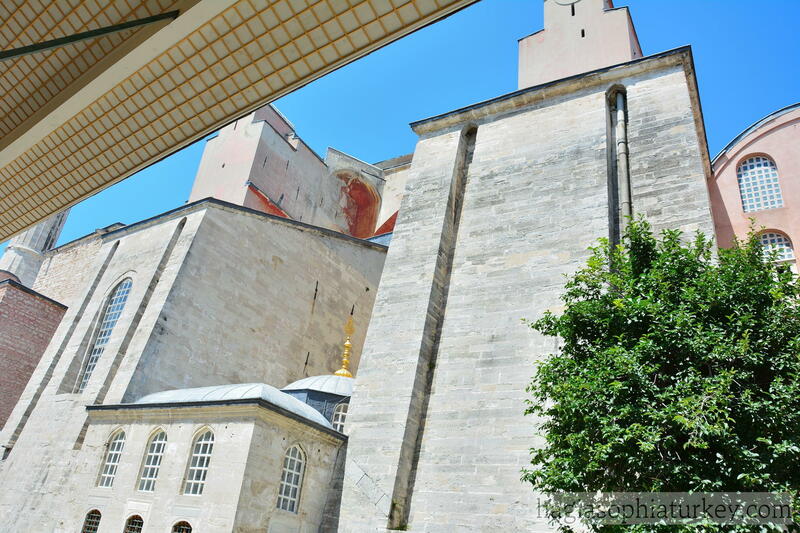 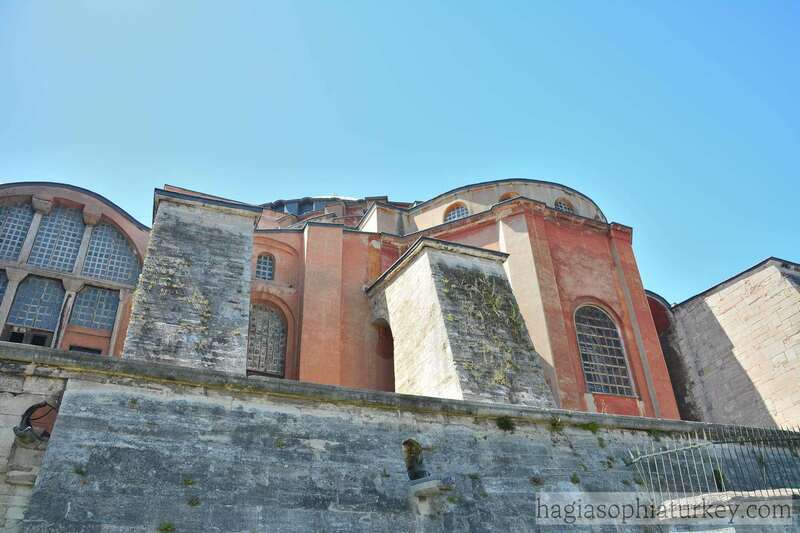 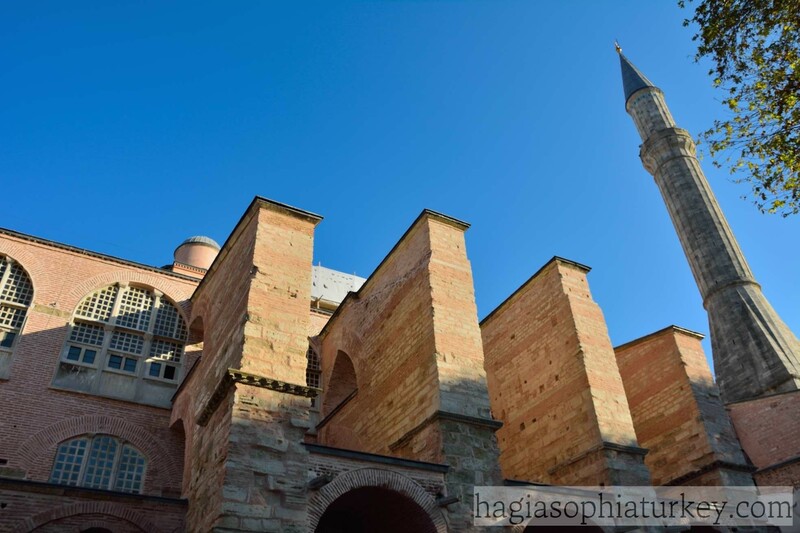 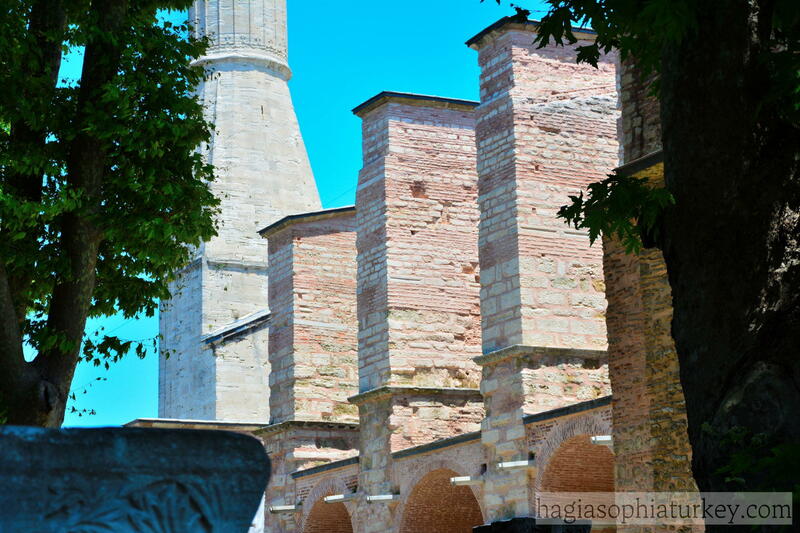 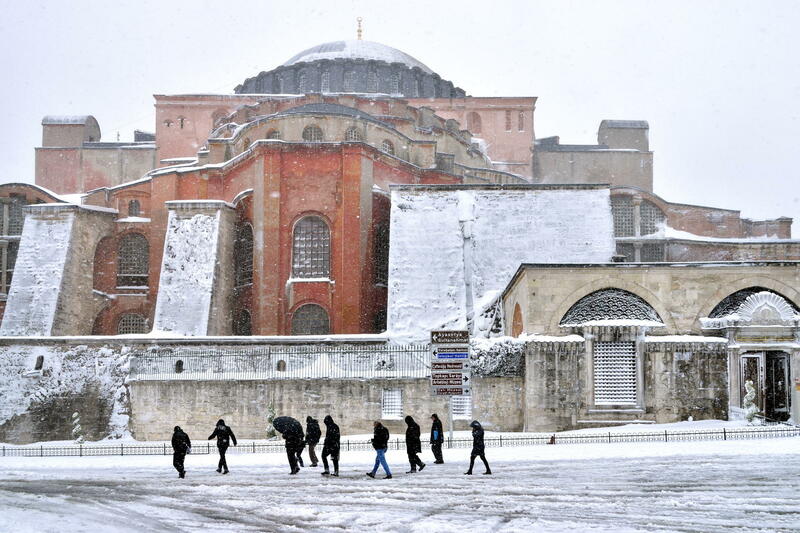 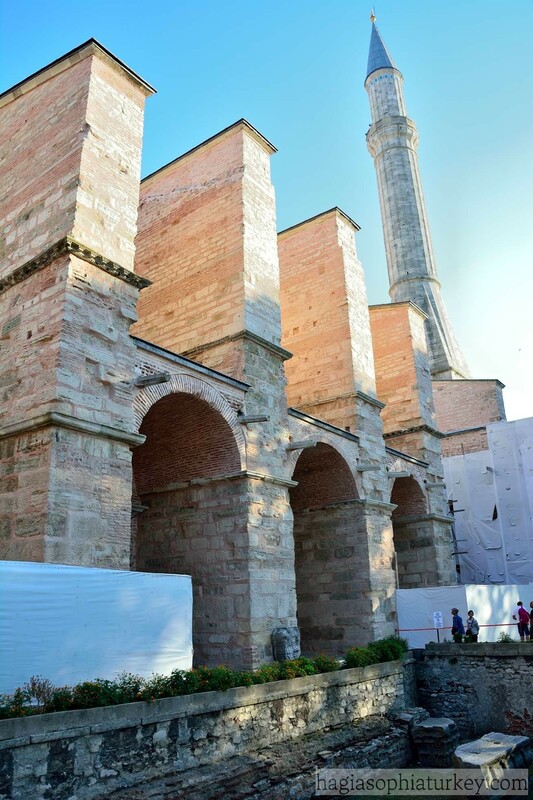 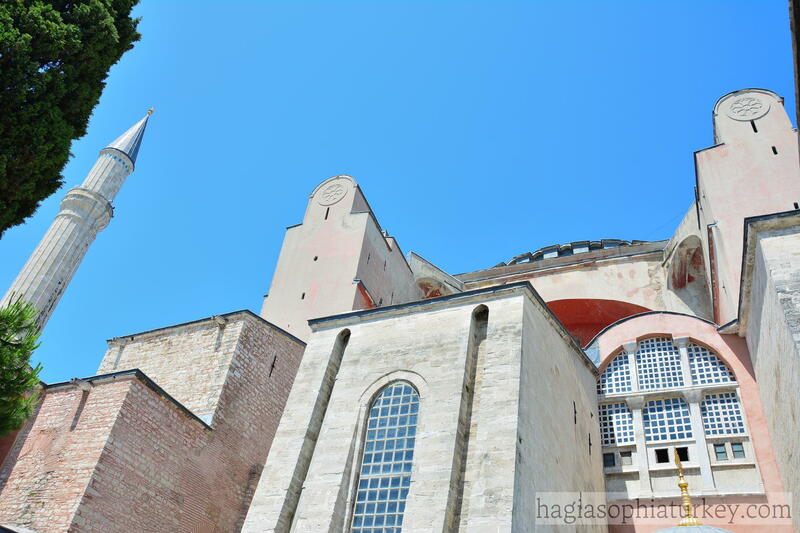 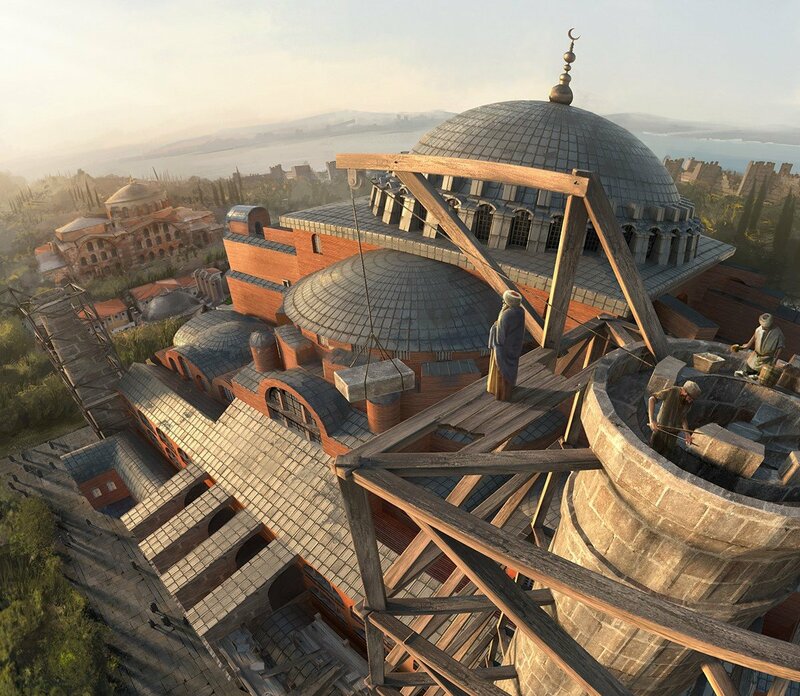 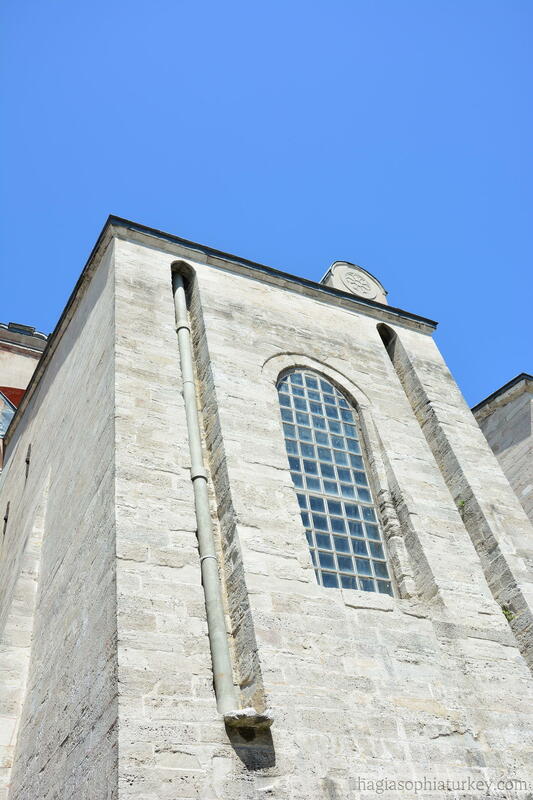 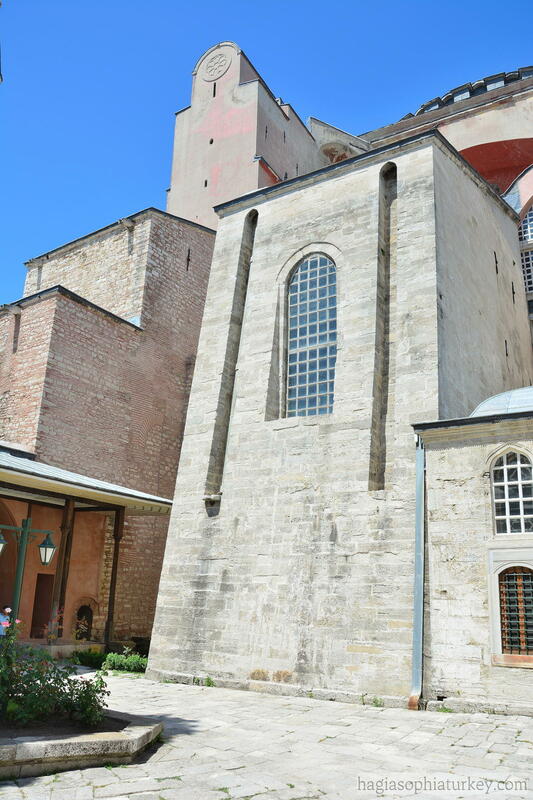 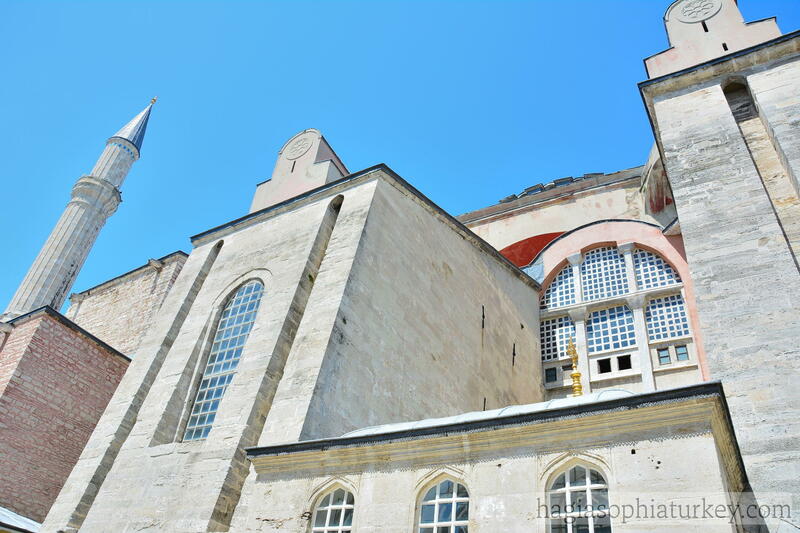 After the conquest of Constantinople, Mimar Sinan also added buttresses and minarets to support the structure.